One Texas scholar insisted that Johnson’s strong spiritual conviction and moral obligation fueled this alleged clandestine undertaking. LBJ speaks at Agudas Achim synagogue in Austin, Dec. 30, 1963. HOUSTON — On the evening of December 30, 1963, a little more than one month after the assassination of John F. Kennedy, the newly sworn-in 36th President of the United States kept a promise he made to the congregants of a small Jewish Conservative synagogue in Austin, Texas. At the personal request of his good friend Jim Novy, a political ally and a central Texas Democratic Party fundraiser, Lyndon Baines Johnson addressed the members of Congregation Agudas Achim at a dinner dedicating their new sanctuary, then located on Bull Creek Road. The dedication was originally scheduled for the evening of November 24, but the events that transpired two days before in Dallas, beginning with a motorcade through Dealey Plaza, prevented Johnson from fulfilling his original promise. LBJ stepped up to the podium to address a grieving congregation. This was Johnson’s first public speech since taking the oath of office to become acting president of the United States. However, before LBJ stepped up to the podium to address a grieving congregation, he was first introduced by Novy, a self-made Polish immigrant and chairman of the synagogue’s building committee. Novy’s remarks were recorded and later reproduced on a commemorative analog vinyl disc that was distributed as a souvenir to all who were in attendance that evening. 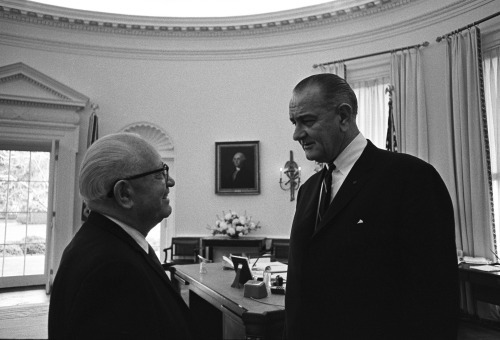 LBJ, right, with friend and political ally Jim Novy. In July 1938, LBJ, with Novy’s help, allegedly set the wheels in motion to covertly rescue a group of Polish and German Jews, including Novy’s sister-in-law and her three children. When Novy took a business trip to Warsaw with his young son that summer, in his possession were the necessary affidavits and departure visas, provided by Congressman Johnson, that enabled 42 Jews to leave prewar Europe and circumvent the United States’ existing restrictive immigration policy. These refugees supposedly entered the United States through the port of Galveston. These refugees supposedly entered the United States several months later through the port of Galveston, and were then resettled in central Texas. In 1940, before Germany officially declared war on the United States, Johnson and Novy may have orchestrated another clandestine rescue of hundreds more. As a result, these Polish and German rescuees were saved from the imminent systematic annihilation of European Jewry by the hands of the Nazis. As Novy nervously continued introducing LBJ at Congregation Agudas Achim that evening, he moved two years forward in his story. He explained how after the second wave of refugees were brought to Texas, they were housed and trained in Depression-era NYA (National Youth Association) work camps. These “New Deal” camps, created for American citizens by the Roosevelt administration, were designed to teach new trades to America’s unemployed youth, and reintroduce them back into the work force. Johnson was appointed state director of the Texas NYA by Roosevelt, and he handpicked his successor, Jessee Kellam, after his election to Congress in 1937. 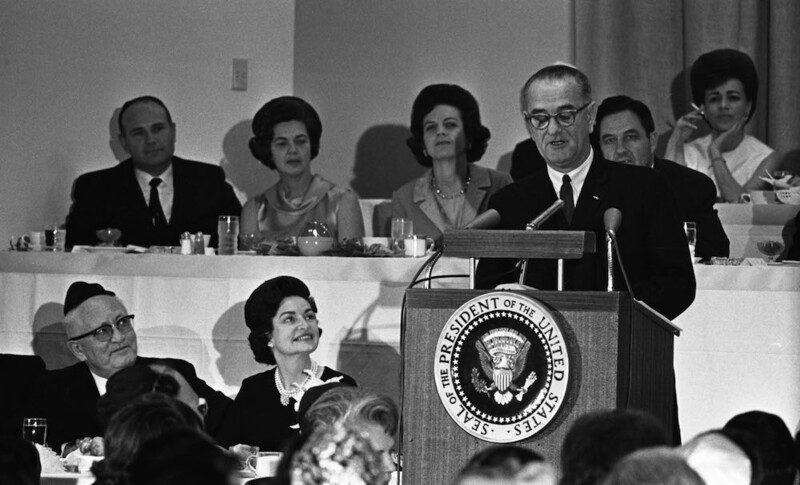 With Secret Service members standing at the back of the room and Lady Bird seated by his side, LBJ patiently waited for Novy to conclude his introduction before he stepped up to the podium to address the audience. Johnson then thanked the congregation for their continual support and only cryptically alluded to the surreptitious episodes mentioned by Novy that purportedly transpired during the freshman year of his eleven-year-term in the U.S. House of Representatives. LBJ never acknowledged the tale spun by Novy in his introduction, nor did he deny it. At Novy’s request, LBJ’s pro-Zionist aunt, Jessie Johnson Hatcher, and her daughter also attended that evening, as did some of the aging, yet grateful members of the congregation to whom Novy made reference in his introduction. Lady Bird and Lyndon at Agudas Achim. Lady Bird Johnson also reminisced about the evening of the dedication of the new Agudas Achim sanctuary in her 1970 memoir, A White House Diary: “As we started out the synagogue, person after person plucked at my sleeve and said, ‘I wouldn’t be here today if it weren’t for him. He helped me get out.’ That both frightens you and makes you happy,” Lady Bird wrote. This little-known dedication ceremony at Agudas Achim in Austin was all but forgotten until 1989, when word spread in academic circles of a dissertation submitted to the chair of the history department at the University of Texas by Louis S. Gomolak, an older-than-average doctoral student. Gomolak described how first-term Congressman Johnson pulled the right political strings. In his dissertation, Prologue: LBJ’s Foreign Affairs Background, 1908-1948, Gomolak described how first-term Congressman Lyndon Baines Johnson pulled the right political strings from behind the scenes to circumvent the existing discriminatory U.S. immigration laws and saved hundreds of Polish and German Jews on the eve of the Holocaust. Gomolak insisted that Johnson’s strong spiritual conviction and moral obligation fueled this clandestine undertaking. Gomolak named this episode “Operation Texas” in his dissertation. Gomolak was the first to theorize that LBJ, with the help of Jim Novy, orchestrated two large-scale covert rescue missions of European Jews, in 1938 and 1940, and several smaller isolated ones. All of these were implemented, Gomolak believed, without the knowledge of the U.S. Government, and without leaving any tangible evidence or a traceable paper trail. 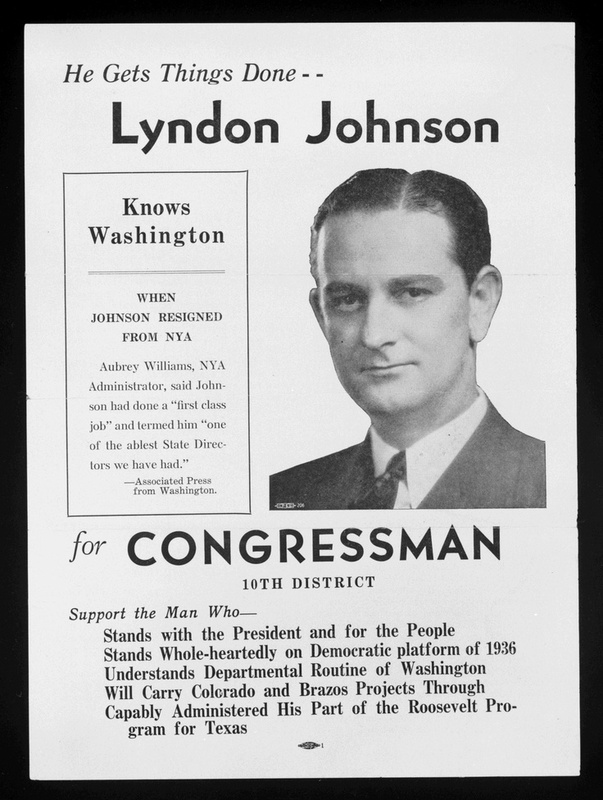 Campaign poster for Lyndon Johnson, running for U.S. Congress, 10th District, 1937. As evidence, Gomolak cited Novy’s dedication speech and Novy’s personal notes where he specifically referenced 42 Jews who were saved on his first mission to Poland. Gomolak also allegedly interviewed several of the rescued refugees who settled throughout central Texas and who were members of Agudas Achim. Gomalak has been very tight-lipped regarding his sources over the years, and nowhere in the dissertation did he identify these supposedly-saved hundreds by name. Since his dissertation first surfaced, Gomolak’s theory has been the subject of speculation and debate among historians and his academic peers. Claudia Anderson, supervisory archivist of the LBJ Presidential Library in Austin, first learned of Gomolak’s rescue theory when the library received a copy of the dissertation in 1989. Over the years, she has conducted her own extensive research and combed through State Department archives in an attempt to validate Gomolak’s findings. Anderson has yet to discover any ‘primary-source proof’ to substantiate Gomolak’s theory. 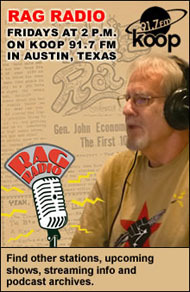 Anderson believes that Johnson sent Novy to the American consul in Poland in 1938 with a letter explaining that Novy had sponsors in the Austin community who had the financial means to support the refugees once they entered the United States and that they would not become public charges of the American taxpayers. “That is what the State Department was so concerned with back then and used as a means to defend their anti-Semitic actions with regard to refugees and immigration,” Anderson said. 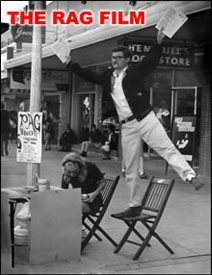 Golomak’s dissertation noted that at the time of LBJ’s first purported rescue mission, during Franklin Roosevelt’s second term in office, foreign immigration into the U.S. was still determined by the harsh quota system of the National Origins Quota Act of 1924. Also known as the Johnson-Reed Immigration Act, it limited the annual number of immigrants admitted into the U.S. from any one country to 2% of the number of people from that particular country who were living in the U.S. in the year 1890. This discriminatory piece of legislation passed with overwhelming congressional support, and was signed into law by 30th U.S. President, Calvin Coolidge. A widespread climate of xenophobia and anti-Semitism existed at the time. According to Gomolak, this statute was designed to exclude non-Anglo-Saxons — specifically, people from eastern and southern Europe — from entering the U.S. A widespread climate of xenophobia and anti-Semitism existed at the time, and many Americans viewed all immigrants as subversives who threatened America’s social and political stability. The nation was still recovering from the Great Depression, and most Americans favored restrictive laws that protected scarce American jobs and maintained wages for the jobs that still existed. Gomolak further noted that LBJ first learned the nuts and bolts of how to navigate the bureaucratic maze of America’s immigration policy while he was still an aide to U.S. Congressman Richard Kleberg of Corpus Christi. Johnson discovered that German and Polish entry quotas into Cuba, Mexico, and South America went largely unused, and that he could bring refugees from Europe into those countries. After a period of time, those refugees could then obtain entrance visas into the U.S. and apply for residency. Johnson was asked to intervene in the case of Jewish-Austrian conductor Erich Leinsdorf. Johnson put this knowledge to the test after he was elected to Congress. In March of 1938, another one of LBJ’s good friends and political constituents approached him for a favor. Charles E. Marsh, publisher of the Austin American-Statesman, asked Johnson to intervene in the case of Jewish-Austrian conductor, Erich Leinsdorf. 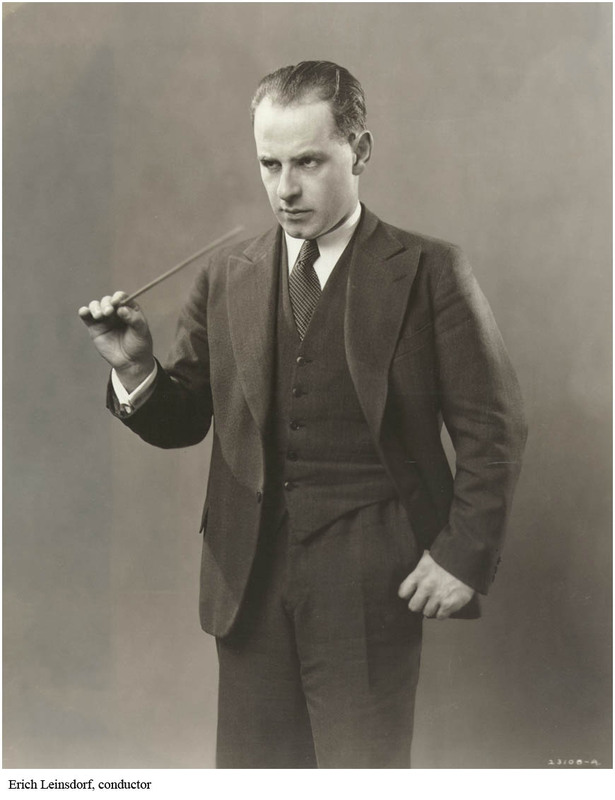 At the time, Leinsdorf was working in the U.S. on a six-month visa for the New York Metropolitan Opera. After being offered a two-year contract with the Met, and learning of Germany’s Anchluss (the annexation of Austria), Leinsdorf applied for an extension to stay in the U.S. The United States Immigration and Naturalization Service denied his request, but Johnson, according to Gomolak, devised a plan to have Leinsdorf’s immigration status changed from visitor to permanent resident. Johnson then instructed Leinsdorf to leave the U.S. for Havana and reenter under the German immigration quota. By 1942, Leinsdorf would become a naturalized American citizen and serve his newly adoptive country in the United States Armed Forces during WWII. Not all of LBJ’s isolated rescues were as high profile as Eric Leinsdorf’s, nor were they all discovered by Gomolak while researching his dissertation. According to family folklore of the Diskins of Houston, one rescuee in particular, their family patriarch, left prewar Poland with the help of Johnson and Novy before the borders closed, and immigrated to Texas in a very conventional, yet ambiguous manner. On September 26, 1938, the M.S. Batory, a Polish merchant ocean liner, arrived at Ellis Island in New York harbor after 11 days at sea that included stops at Copenhagen and Cherbourg, France. Listed on the ship’s Manifest of Alien Passengers Bound for the United States were a group of more than 100 Polish nationals of the “Hebrew” race who departed Gdynia, Poland, 11 days earlier. All of their exit visas were issued in Warsaw in the previous months. All of their exit visas were issued in Warsaw in the previous months of August and September, and all but two of these Jewish passengers, a rabbi and a Polish government official, told their Ellis Island inspectors when they disembarked that they were seeking permanent residency in the United States. They also said they would not be returning to Poland. Among the passengers who passed through Ellis Island that day was 26-year-old Icek Diskin, a barber from Warsaw, who reinvented himself as Murray Issac Diskin. Years later, he would become a multi-term city council member and popular clothing retailer (Diskin’s) of Brookshire, Texas. After answering “no” to the obligatory questions asked by Ellis Island immigration as to whether he was a polygamist or an anarchist, Diskin indicated to the immigration officer that he, too, “would not” be returning to Poland. He listed his final destination as Georgetown, Texas, just north of Austin. There, his older sister and her husband, who had paid Diskin’s passage to the U.S. and his train ticket to Texas, were residing. Diskin’s sister, Celia Neuman, and her husband Ben, were prominent members of Austin’s Jewish community and Congregation Agudas Achim. In 1938, they learned of fellow congregant Jim Novy’s rescue mission to Poland and asked if he could include her younger brother in his plans. Diskin had never immigrated to the U.S. like his older sister, and chose to remain in Warsaw with his mother. 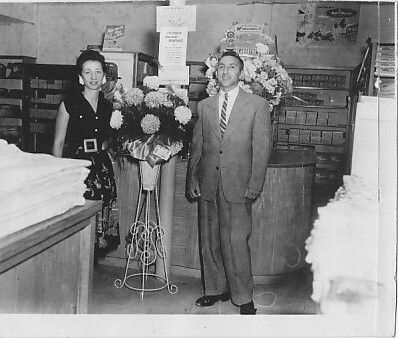 Murray and Bernice Diskin, Brookshire, Texas. The Holocaust Museum Houston established the Lyndon Baines Johnson Moral Courage Award. In 1995, the Holocaust Museum Houston established the Lyndon Baines Johnson Moral Courage Award one year after it opened its doors and received its non-profit 501(c) 3 charter. According to the museum, recipients of this award are individuals, like Johnson, who exhibit moral courage, take personal responsibility, and are willing to take action against injustice. The award is part of the HMH’s annual fundraising activities and outreach program. Since its inception, the museum has bestowed this honor on 15 distinguished individuals and one deserving European country for altruistic acts that benefited all mankind. Dr. David P. Bell, a longtime member of the HMH board of trustees, believes that Lyndon Johnson, as a congressman, stretched the limits of his authority and risked his political career to rescue European Jews from the Holocaust a mission based on his moral imperative. 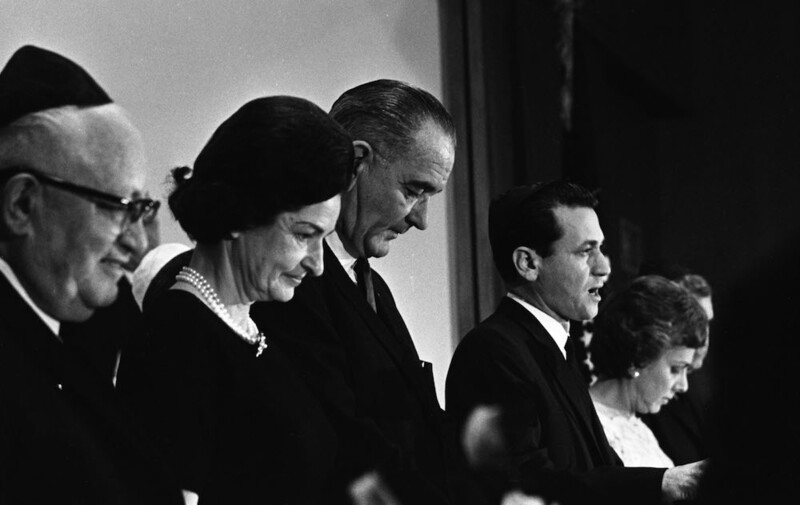 “The basis of why we honor LBJ at the museum is because he was a first-term congressman, with his whole future ahead of him, and he took extraordinary risks that would have jeopardized his political career on behalf of people he didn’t know,” Bell said. When the HMH first learned of Operation Texas in the early 90s, Bell said that the board asked him to travel to Austin to meet Gomolak and investigate his claims about Johnson. Bell was initially convinced that Gomolak’s findings were largely accurate. Now, he said, he is not so sure, and believes that Gomolak may have embellished his research. Bell finds it frustrating that no paper trail regarding Operation Texas exists, plus, there is a reluctance on the part of those rescuees who are still alive to step forward and be acknowledged. Bell thought that few people were willing to talk about it in fear they would be sent back. LBJ and Lady Bird were regular fixtures at Trinity Lutheran Church in Stonewall, Texas, just east of Fredericksburg, where they attended Sunday services. However, Johnson, according to Gomolak, was influenced and spiritually nurtured by his grandfather, Sam Ealy “Big Sam” Johnson, Sr., and his youngest aunt, Jessie Johnson Hatcher. They were both practicing members of the Christadelphian faith, or “Brethren of Christ.” Big Sam and Aunt Jessie were also fundamentalist Christian Zionists, long before it became trendy among present-day televangelists and ultraconservative, right-wing Republican politicians. 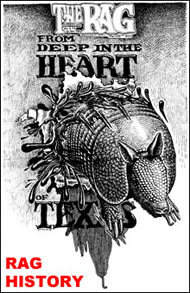 Gomolak claimed in his dissertation that LBJ’s motivation for Operation Texas came from his indoctrination, at an early age, into the Christidelphian sect. Founded in 1834, today’s practicing Christadelphians hold firmly to the teachings of Dr. John Thomas, an English physician who brought the faith to the United States. Christadelphians subscribe to the literal eschatology of Scripture, and like all evangelical, fundamentalist Christians, believe in the millenarian “end of days” scenario as prophesized in the New Testament’s Book of Revelation. LBJ Presidential Library archivist Anderson describes Johnson’s approach to religion as “very eclectic,” and that this personal belief system played an important role in his concern for the underprivileged and his strong sense of populist politics in the 1930s. Although LBJ was introduced to Zionist ideas through his family’s Christadelphian faith, Anderson believes he never actually adopted that sect. “I think he had a strong spirituality and a strong fundamental belief, but it wasn’t so focused on a particular denomination,” she said. Although Operation Texas makes for an intriguing story, no hard, substantive evidence proves or disproves the existence of these clandestine rescue missions. According to Anderson, official Lyndon Johnson biographer, Robert Caro, is well aware of the mystery surrounding Operation Texas. Nevertheless, Caro has never written a single word about this supposed episode of LBJ’s life in any of his four published volumes. And as time passes, hope of any living person coming forward with first-hand knowledge or tangible proof diminishes. At the time of this writing, neither the reclusive Dr. Louis S. Gomolak, now a retired college professor at Southwest Texas State University in San Marcos (renamed Texas State University), nor LBJ biographer Caro, has responded to my requests for an interview. Former LBJ staff member, Bill Moyers, told me via email he had no recollection of a speech he wrote for Lyndon Johnson or the dedication of the Agudas Achim synagogue in Austin where it was delivered on the evening of December 30, 1963 — a little more than one month after the assassination of John F. Kennedy. 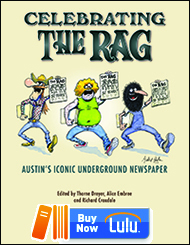 This entry was posted in Metro and tagged Agudas Achim, Anti-Semitism, Erich Leinsdorf, Holocaust, Ivan Koop Kuper, Jim Novy, LBJ, LBJ Library, Louis Gomolak, Metro Bloggers, Murray Diskin, Operation Texas, Rag Bloggers, Texas History. Bookmark the permalink. Great Work, Koop! Over the years, I have been rather lonely in my belief that LBJ would eventually be recognized as one of the Great Moralistic President of Modern Times. This just adds to my belief. Thanks.